Happy Halloween! ‘Tis the season for pumpkin! As you may have noticed, I’ve been busy whipping up some pumpkin recipes these past few weeks. Soft pumpkin cookies with cream cheese frosting, pumpkin blondies – yum! Now, for the easiest pumpkin pie recipe of all – and still delicious – pumpkin pie dip. My friend Ali shared a version of this recipe with me a few years ago and it’s become a staple in my stomach house every fall. Serve it with apples, pears, ginger snaps, nila wafers, or cinnamon sugar pita chips. 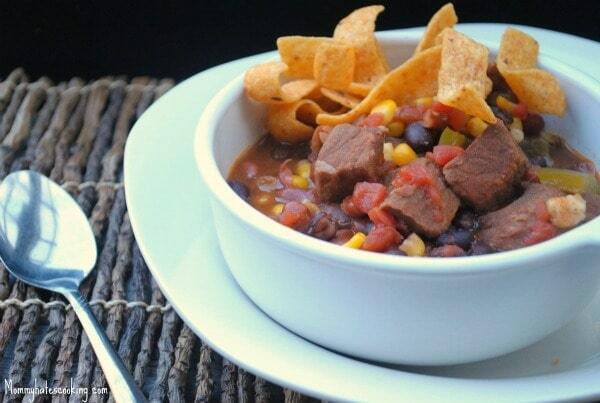 Or eat it with a spoon – it’s THAT good! Make sure cream cheese is fully softened – I left mine out of the fridge for 30+ minutes before starting the recipe. Once softened blend cream cheese and powdered sugar until smooth. Gradually add in the canned pumpkin. Stir in pumpkin pie spice. Chill until serving. I served mine with apples and cinnamon & sugar pita chips! Each year for B’s birthday I make him a favorite treat, Buckeyes. If you had asked me a few years ago, I would’ve just looked at you crazily. Buckeyes? I have no idea? I would’ve said. In a medium bowl, mix peanut butter, butter, vanilla, and confectioners’ sugar. Mix well (I use my KitchenAid) until it forms a stiff dough. Shape dough into balls, about one inch or 2 tsp wide. Place on prepared pan, and place peanut butter dough balls in refrigerator for 1 hour, or freezer for 30 minutes. Now it’s time to make the chocolate coating! Melt shortening and chocolate together in a microwave-safe bowl in the microwave. Stir occasionally until smooth. Time to coat the Buckeyes! Remove peanut butter balls from freezer. Insert a toothpick into a ball, and dip into the melted chocolate chip/Crisco mixture. Return to wax paper or aluminum foil chocolate side down, and remove toothpick. Repeat with remaining balls. 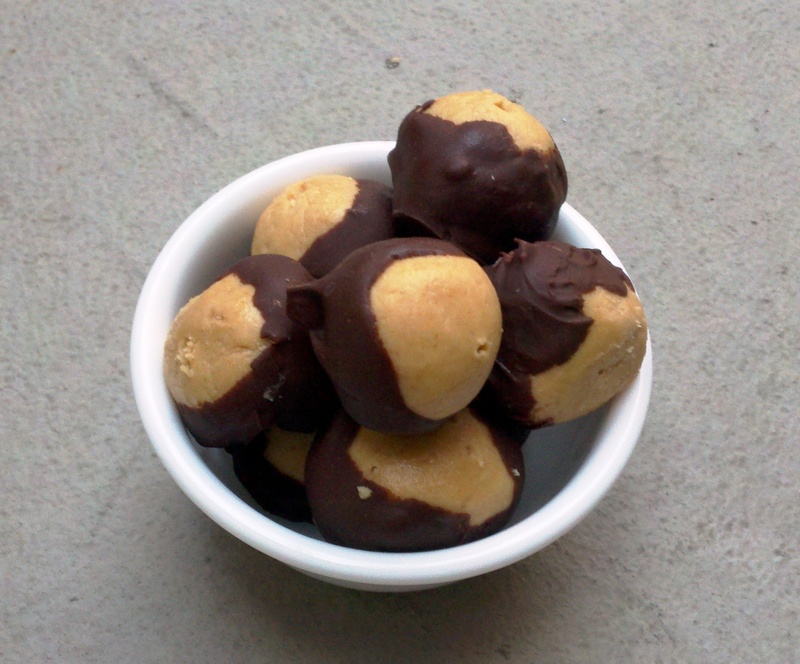 Refrigerate chocolate coated peanut butter balls (or Buckeyes!) for 30 min to 1 hour to set. 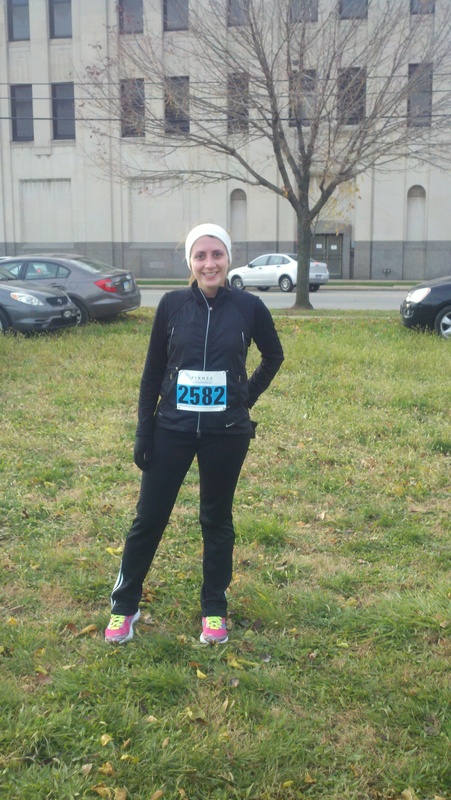 You may recall that I was diagnosed with not one, but multiple stress fractures after my Cleveland Marathon training. For some reason I got fractures in my tibia and my metatarsal area and was unable to actually run the day of the marathon. Yes, I trained and ran 20 miles – but I never got in my 26.2 miles during race day. But I haven’t given up my running career. Will I ever be a competitive marathoner? Absolutely not. And while I don’t have another marathon in my near future – I’m still running. AND I signed up for – and completed my first race since “the stress fracture incident!” While it may have only been a 5k – and our time wasn’t great (in our defense, B and I ran about two miles to get to the start of the race — so we ran 5 at least total), I’m still proud, and happy that we stuck it through and I’m still running. Will I continue to run? Yes. Have I been running? Yes – today I completed nearly 4 miles in under 10 min/miles (a big deal for me .. still recovering!) and I’ve signed up for another race with my coworker, Cari (the first race I’ll have done without B!) … you can’t stop me – yes, you may be able to slow me down, but I’m still running! Combine flour, baking soda, baking powder, pumpkin pie spice and salt and set aside. Add pumpkin, egg and vanilla extract to wet ingredients and mix until smooth. Gradually beat in flour mixture. Bake at 350 degrees for 15 to 18 minutes or until edges are firm. Cool completely before frosting (optional). Frost a few with your favorite cream cheese frosting! I used half of this recipe. Enjoy! Still reading? Want more pumpkin? 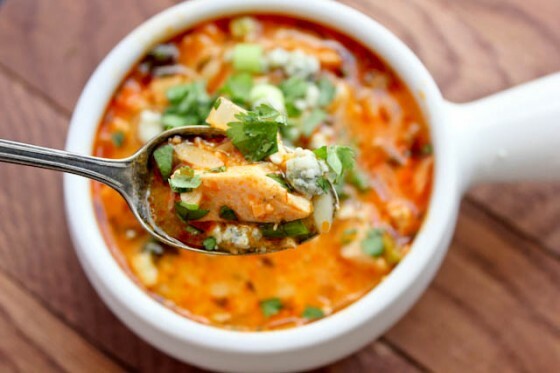 Then check out these recipes as well! Are you a Fire, Earth, Air or Water? NOTE: Much of this blog post originally appeared on the Fahlgren Mortine blog. Recently, I was fortunate enough to be accepted into the Cleveland Bridge Builders Class of 2013. According to the Cleveland Leadership Council, Bridge Builders is “a 10-month leadership development and civic engagement program for committed civic leaders.” In short, that means over the next year I hope to develop the leadership skills and local business relationships that will help me on my way to being a better leader in the office and within the Cleveland business community. How does one become a leader? At the Bridge Builders opening retreat in September, I was eager to find out and wondered what I would learn: How to manage others? How to adjust to different personality styles? What people look for in a leader? Instead, the session was designed for us to learn more about ourselves, stemming from the idea that becoming a better leader requires an understanding and appreciation of oneself. To help us with this process, we all took a personality-type test to find out our leadership style. The TetraMap test revealed four personalities or leadership styles – Earth, Air, Water and Fire. Earths are confident and competitive and enjoy setting goals and having control. Airs are orderly and focused and excel where systems and order are in place. Waters are caring, quiet, loyal and emotional. Fires are energizing, passionate, easily distracted and love to explore possibilities. How did I do? I scored very strongly as a Fire, and second highest as a Water. We learned that we all contain character traits of each personality (nobody is JUST a Water), but sometimes one trait definitely stands out. After learning about the different traits, I realized that while I may be a Fire – this personality definitely shines (no pun intended) when I’m at work, but my Water traits come out more when I’m at home or with family. Which personality type do you think you are? Are you a different personality at work versus with your friends and family?